Subthreshold binge-eating disorder (BED) symptoms can lead to additive physical and psychological health challenges and may put youth at risk for developing BED during the early adulthood. We examined the implementation of a condensed dialectical behavior therapy (DBT) skills intervention for subthreshold binge-eating behaviors in adolescents. Fifteen 14–18 years old participated in a 10-week DBT skills group, which experientially introduced mindfulness, distress tolerance, emotion regulation, and interpersonal effectiveness skills in the context of emotionally driven overeating behaviors. Adolescents and caregivers completed measures of emotional eating and binge-eating behaviors at baseline and post-intervention, including the Eating Disorder Examination Questionnaire and Emotional Eating Scale for Children and Adolescents. Eleven participants were retained at 3-month follow-up. Descriptive statistics were compared at all three time points. 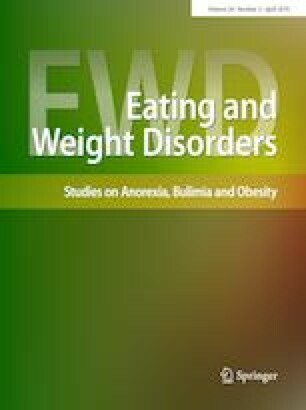 Results suggested a reduction in emotional eating and binge-eating behaviors based on youth self-report and caregiver report. Acceptability ratings of the treatment were high among participants completing the intervention. Using DBT skills to target emotionally driven overeating behaviors in youth may be useful in the treatment of subthreshold BED behaviors and potentially deter future development of full-criteria BED. Level IV, uncontrolled pilot trial. The online version of this article ( https://doi.org/10.1007/s40519-018-0580-4) contains supplementary material, which is available to authorized users. We would like to acknowledge Kristina Decker, M.A., Tiffany Rybak, M.S., Robin Hardin, M.A., Courtney Maclin, M.S., and Caroline Kaufman, M.S. for serving as DBT skills group facilitators and co-facilitators for the present research intervention. This work was funded by the International Society for the Improvement and Teaching of Dialectical Behavior Therapy Student Research Grant (PI: Kamody), a Children’s Foundation Research Institute at Le Bonheur Children’s Hospital Research Grant (PI: Burton), and the Brinkley Foundation. Informed consent was obtained from all individual participants (and/or their parent/legally authorized representative) included in the study.